Little Da Vinci International School vision began in 2009, when Soraya Rouchdi, an international mother and professional, poured her family life savings into starting her dream school. Her motivation was to prove to herself that it is possible to combine a multilingual education, with a very strong academic background, and a genuine love and care for the specific needs of the children in a multilingual environment. Developing a very young child to a young adult, thus to a happy and balanced human being, is about love. Our mission is primarily focused on taking the children’s specific needs to learn how to think deeply and therefore to learn how to learn very seriously. Love, genuine care, and dedication to the specific needs of the children. Building foundations as strong and healthy as the goals the children are able to reach. Being as dedicated to the development of character as in the academic success. Creating a natural immersion program where the children are developing in the language. The goal is to develop bilingual children by age 5. In light of these founding principles, the learning approach adopted by the educational team, the decision made by the school administration, the partnership developed with the parents and the community, should naturally revolve around the child’s specific needs and interest. The choice of the Blue Heron Nature Preserve was paramount to creating the ideal learning environment for the 21st century children. Today’s children suffer from nature deficit and this is a very rich environment to learn from. In August 2009, Little Da Vinci International School opened with 12 students in the Blue Heron Nature preserve; a jewel in the heart of Buckhead. In 2010, the enrollment ramped up to 65 students with very solid and strong French, Spanish native speakers’ and bilingual students who represent more than 50% of the student body. This ratio will be reinforced and strengthened in the following years. In 2011, a strong education and training relationship has developed between Little Da Vinci educators, the Blue Heron Nature Preserve, and the Audubon society. The Children are learning in symbiosis with their natural environment, observing the birds, the different inhabitants of our forest, and witnessing the nature changes as the seasons and years are passing. In 2012, our English speaking young children are reaching fluency in the target language by age 3/4. The native speakers in the target language are meeting or exceeding the expectations with similar students in the target countries. In the classroom, the children are engaged, developing knowledge, problem solving and critical thinking skills, self-confidence, and self-discipline. 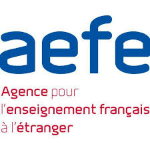 Little Da Vinci International School is in the process of the accreditation “homologation” of the French Program by the French Ministry of Education. In 2013, Little Da Vinci International School represents the best the world has to offer with more than 40 nationalities, 95 amazing students, and a very passionate, strong, and multidisciplinary team of educators. The school has earned a well-deserved reputation for excellence. We believe that Little Da Vinci International School needs to be experienced to be appreciated; we encourage prospective families to visit us and tour our school. Our passionate and dedicated tour guide, Soraya Rouchdi, will kindle your desire to see your child flourishing in this beautiful environment. To arrange a visit, please contact our office of admissions. We look forward to meeting you.